The coupon code is applicable to home purchases of $50 or more. The code is redeemable once per customer. Exclusions apply. Applicable to men's and women's sportswear for a limited time. Proper for men's and women's clothing, accessories, shoes, and more. Includes 15% off all purchases or 20% off $100 spent. You can use your coupon code by clicking on “Show Coupon Code”. Copy it and then be ready to place your order. 2. Choose from any category ranging from Kids, Furniture etc and a pop-up window appears with subcategories. 3. Pick an item from the subcategory for example Kid's backpack. 4. Choose your desired designer, color by clicking on it and a new page appears. 5. On this new page click on "Add to bag" and a pop up page appears. On the pop up page click on "Apply", and a new page appears you can type in your code in the space and click on "Apply Code". 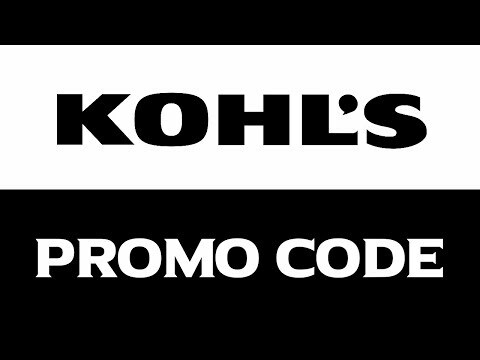 Kohl’s is a great store to visit when you are in need of something because they will most likely have it. Kohl’s has items and accessories for women, men, and children and babies. By browsing through what Kohl’s has for sale, you can find furniture, clothing apparel, swimwear, shoes, items and products for kitchen and dining, bed and bath, and patio accessories. Everything listed is affordably priced and of great quality. There is something for everyone when you shop at Kohl’s.